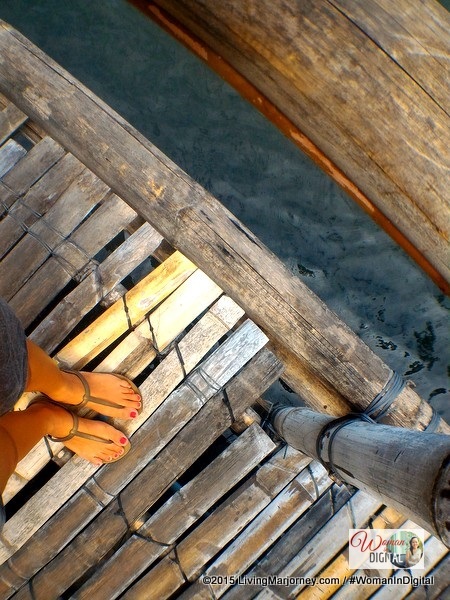 What is your ideal vacation? A destination that requires you to book a flight, go to the airport, hop the plane or boat? Whatever it takes, I encourage you to go out and spend a day or two all by yourself. Go out of your comfort zones and discover your strength and passion. One of the travel trends today is getting back to mother nature. It's one of the best way to meditate and relax. Being a blogger, I'm fortunate that I can incorporate leisure with blogging work every time we got invitations to go places. 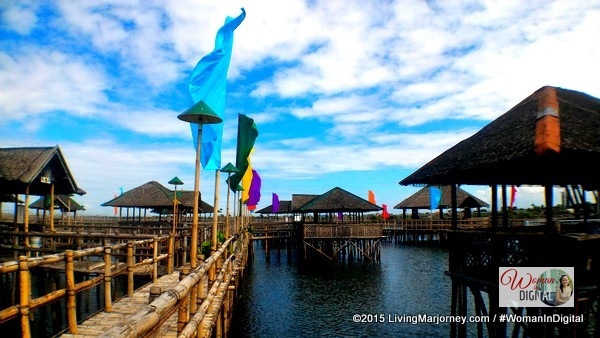 About a week ago, I visited Island Cove Hotel and Leisure Park in Cavite. It was my first time at Island Cove. I don't know why either. Perhaps, I should ask my parents why we haven't been to Island Cove despite that the park has been in the business for many years now. In fact, they just celebrated their 18 years. Island Cove Tram can bring you to different points inside the island. 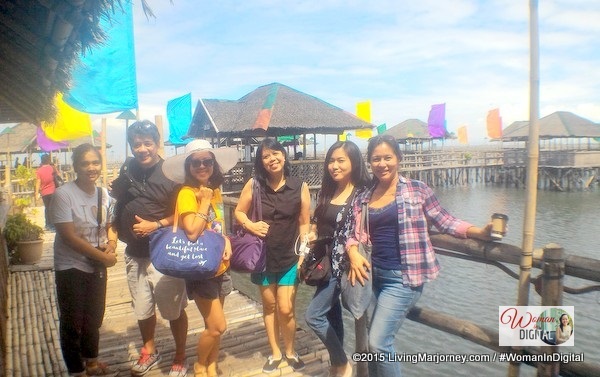 I was invited together with small group of bloggers for a day tour at Island Cove in Cavite. I thought it will took us more than an hour going to the island but to my surprise, we reached Island Cove in about 40 minutes. We're glad there's no traffic along Coastal Road. It took us about ten minutes via CAVITEX to Island Cove. I haven't even finished my Starbucks Coffee when we arrived in the resort. Our first stop was the iCAFE, Island Cove's welcome place for guests. 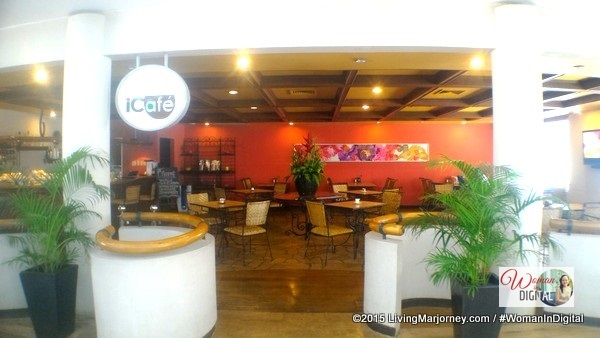 The coffee shop offers good tasting coffee made by the famous Gourmet Coffee from Tagaytay. The coffee brand even created a coffee blend specially made for Island Cove. We also met the owner, Mr. Gilbert Remulla. 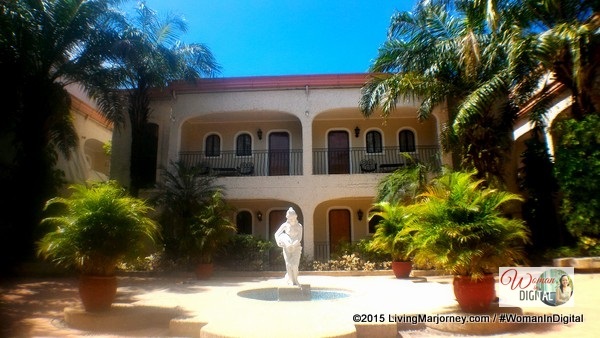 He shared stories about the resort including the upgrades and renovation. Ms. Malu warmly welcomed us and escorted the group for a quick island tour. 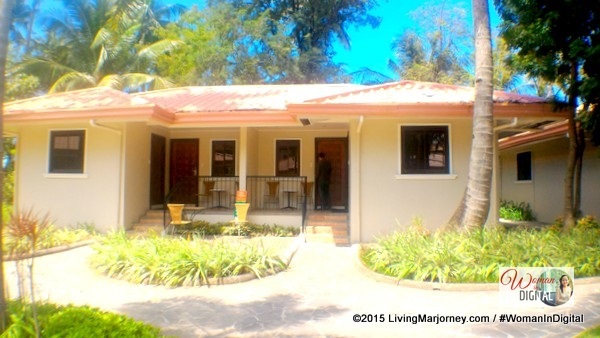 Our second stop was the hotel rooms and villas. Few steps from the lobby and iCafe are the deluxe family rooms. The spacious Family Deluxe Room has two twin beds, a flat screen television with cable channel, work station, toilet and bath room and a veranda. 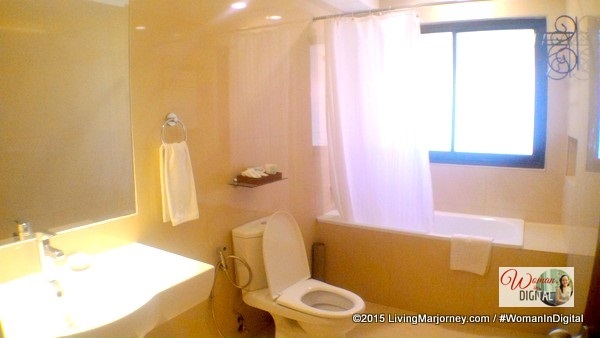 This room can accommodate four people. 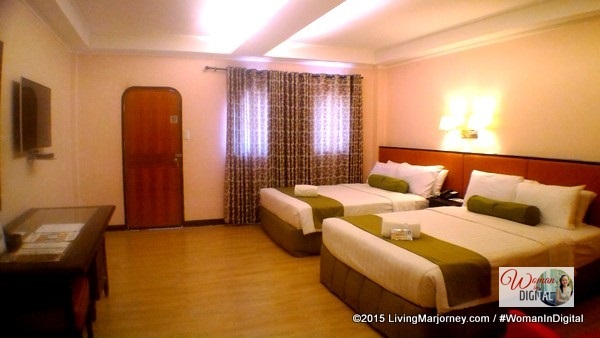 Rates starts at Php5,300/night nett and Php6,000/night on weekends. Better yet call the hotel for early bookings and room availability. Island Cove's Junior Suite is recommended for big families especially those attending special events like garden wedding, prom nights or events at Island Cove. This room can accommodate up to eight people. 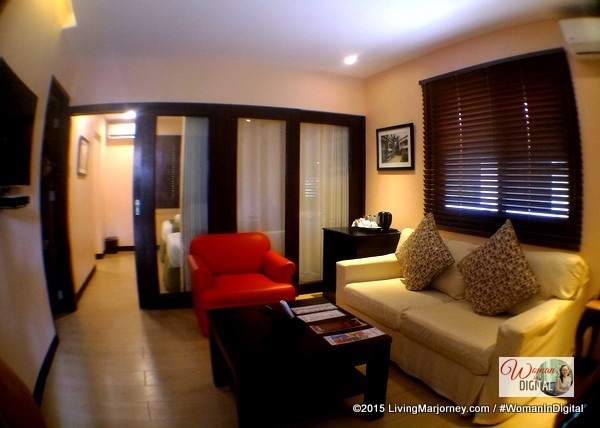 Rates starts at Php 8,500 (US $169) on weekdays and Php 9,200 (US $183) per night on weekends. We finished the tour just in time for lunch. Not really starving since we had heavy breakfast but the Filipino food suddenly tickled my palate. You know how I love Pinoy dishes. 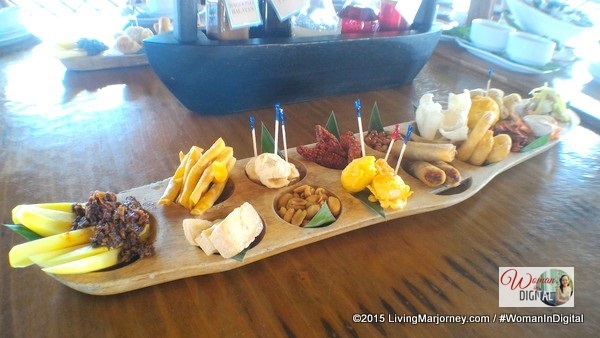 The lunch was set-up at one of the nipa huts at the fishing village. We were greeted with a group of singers making harana to our group. 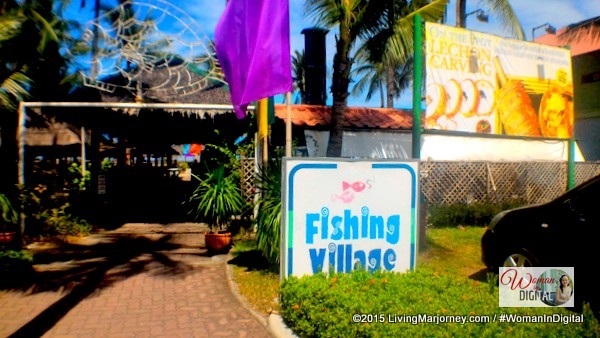 Fishing Village provides a view of Manila Bay. 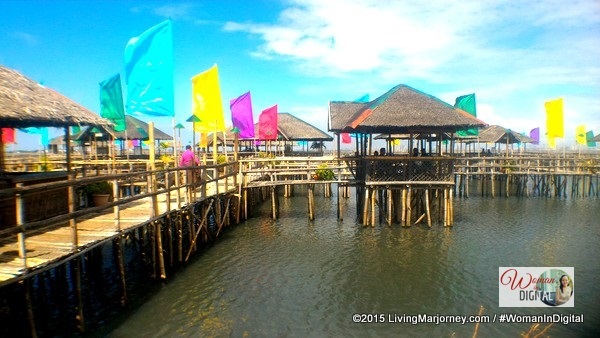 Guests are invited to dine in huts, cook their catch or order from the restaurant serving Filipino food. Our appetizer was served in a sungka thus the name sungka-sungkaan. It has Pinoy and tourist favorite finger food like manggang hilaw with sauteed bagoong (shrimp paste), garlicky nuts, kwek-kwek or quail eggs, sing-aling, and a lot more. 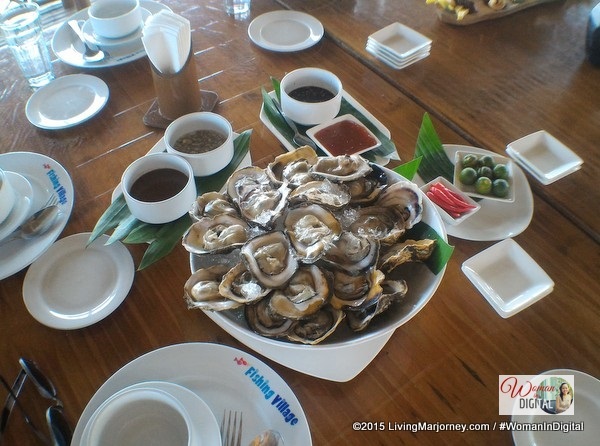 Then the star of the menu came lechon buho, roasted chicken, pinakbet, grilled squid, sinigang na tuna. 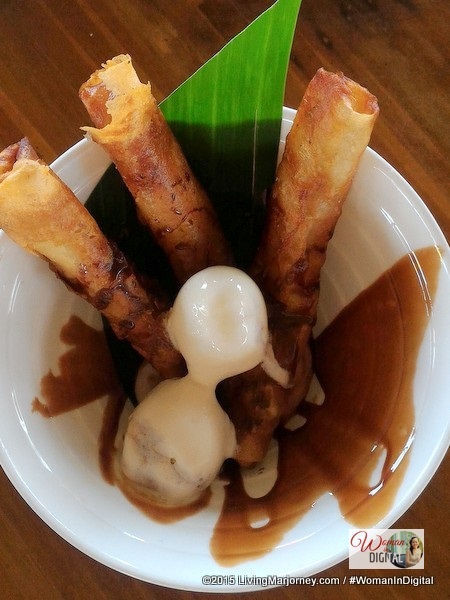 Refreshing buko juice, fruit platter and turon with ice cream to capped our fantastic lunch. 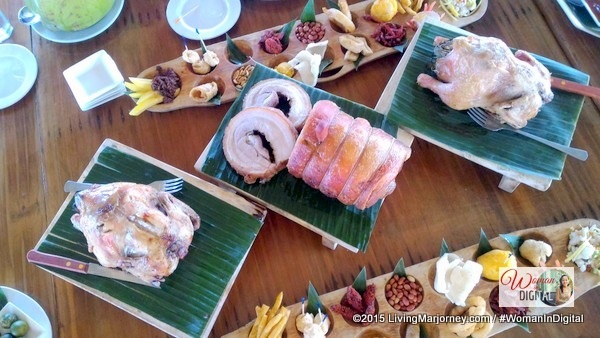 Lechon Buho, Roast Chicken and a lot more! Thank you Island Cove for that quick city escape. The day trip is indeed not enough to explore this 36-hectare Mediterranean-inspired island. To be honest, I missed the Island Sanctuary, haven't tried biking around the island. There's so much to do when in Island Cove so I promised myself to go back and bring the family especially my niece and nephews for the wildlife sanctuary tour. From Mall of Asia, you may take the UV FX heading Cavite City fare is Php50. 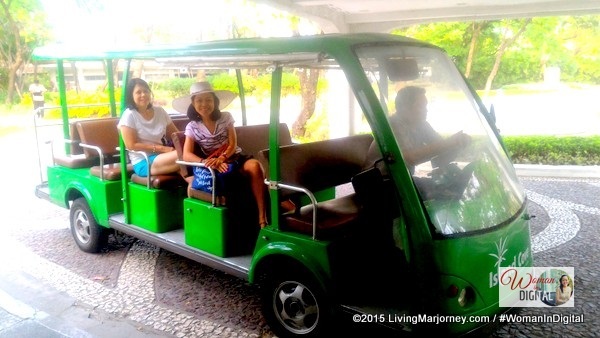 Then take a mini bus and tell the conductor you're going Island Cove (fare is Php8). Although I have yet to try commuting, I hope this could be a guide for you. From Baclaran, take a bus heading Cavite City or NAIC/Maragondon taking the island cove route. From Manila, take CAVITEX the easiest route that will lead you to Island Cove in 15 minutes. There are restaurants inside the resort. They serve light snacks to heavy meals. Swim wear, hat and sunblock. Extra shirt when going on a day trip. Camera because you will surely love taking snaps around the resort. 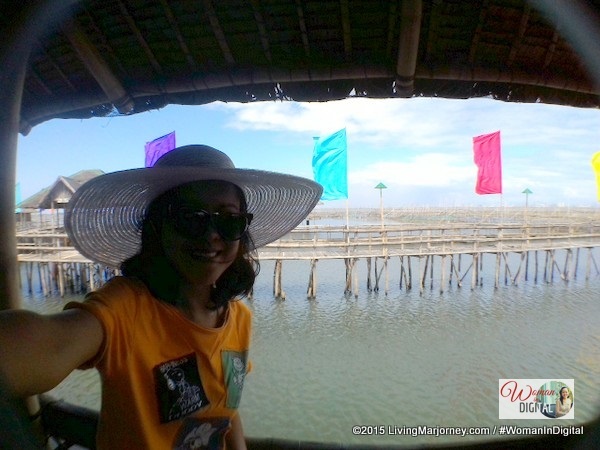 Here's a blog of suggested activities and other things to do in Island Cove Hotel Cavite Day Trip featuring the Oceana, Swim and Splash Park, the Island Spa where I got a good hilot spa and the tasty dishes at Sangley Point.